At Advanced Showers we are one of the country’s leading manufacturers of durable, leakproof shower pods. These shower pods have been a great success for many years in university and school accommodation. Architects, designers and facilities managers have come to value the many benefits of these attractive units. You can read our many case studies to better understand the breadth of our student accommodation client base and the rage of institutions where they have been installed. What exactly are Shower Pods? They are a shower in a single integrated interlocking unit made from GRP with no joints or tiles through which water can leak, thanks to our factory fitted gasket. Even the floor tray is integrated into the pod. It means we can guarantee a lifetime of leakproof, zero maintenance hard-wearing shower units. Perfect for the heavy traffic of student accommodation. You can see how the pods are delivered and easily assembled in this short video animation. Why are Shower Pods so especially suited for Student Accommodation? 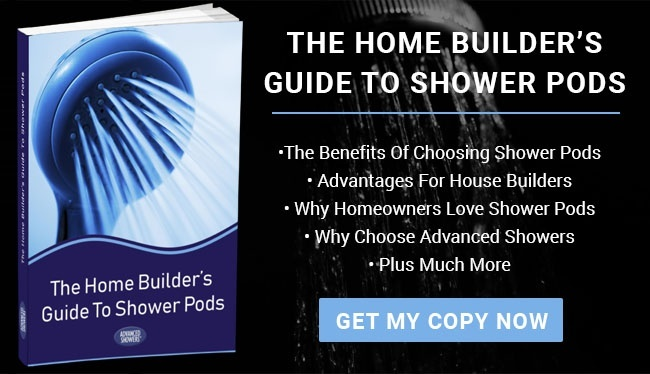 Fast to install – one person can install and commission a shower pod in a day. Less hassle than tile and tray – this de-risks the build because there are no materials to run out or be delayed and no multiple trades to add additional risk to the build. Large variety of styles and dimensions – means that more often than not, the requirements of a build plan can be fulfilled from our standard range. All budgets catered for – from very basic and simple units, right through to more stylish models that would grace a luxury apartment, we have something for everybody. Bespoke option – for volume orders, this enables the architect to focus on the plan and simply specify the exact dimensions and style of the shower pods. Attractive and long lasting – the high gloss finish never deteriorates significantly no matter how much wear and tear it is subjected to. Zero maintenance – this really appeals to facilities managers, especially with the lifetime leakproof guarantee. We have written a useful guide for you to download – The Shower Pods Guide. It tells you much more about the specification, composition and installation of our shower pods. For all other enquiries please don’t hesitate to call us today.